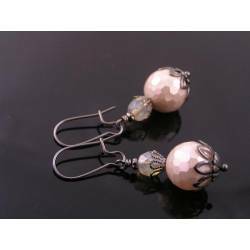 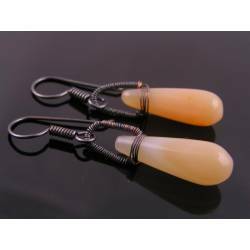 These earrings have slightly curved, elegant leaf connectors attached which suspend lovely, faceted peach, shimmering dark grey and pale white moonstone teardrop shaped gemstones. 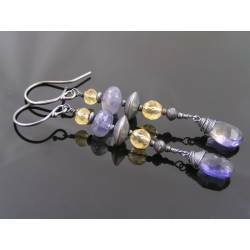 All six moonstone briolettes display gorgeous shimmer and the micro faceting takes care of some additional sparkle. 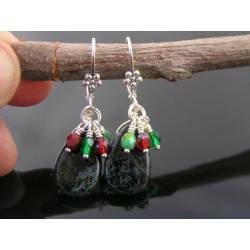 These are good sized gemstones, they measure around 10mm in height. 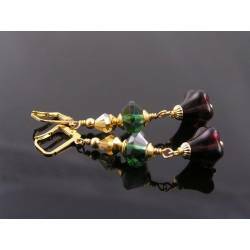 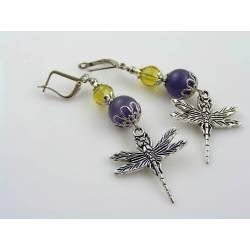 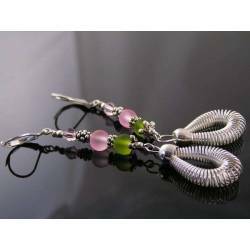 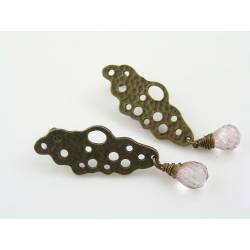 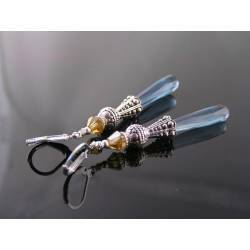 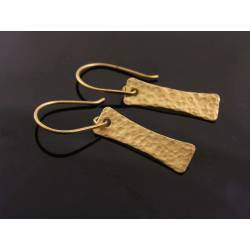 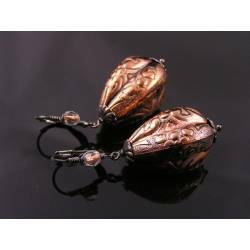 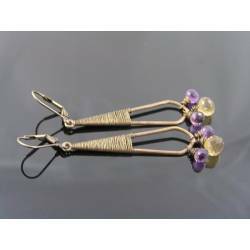 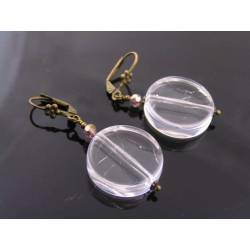 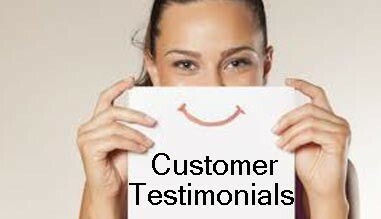 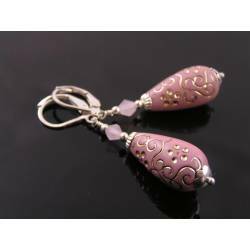 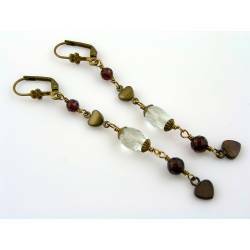 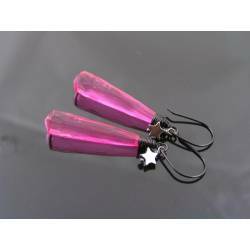 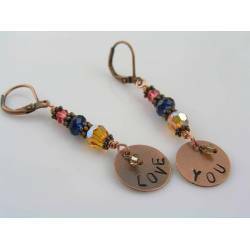 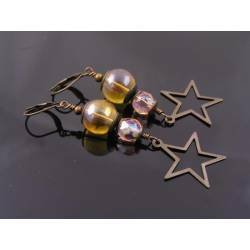 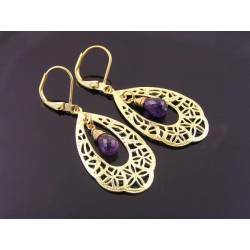 The earrings measure 5.5cm in length, including the secure, solid stainless steel lever back ear wires. 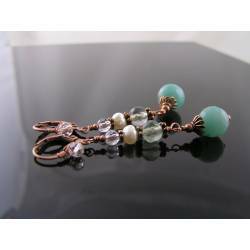 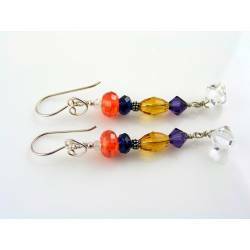 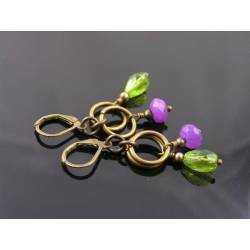 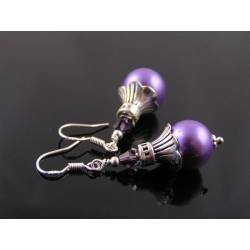 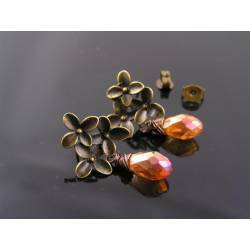 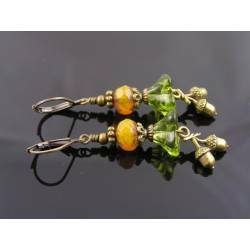 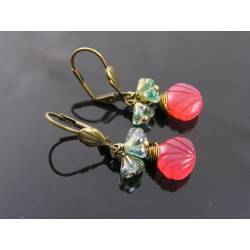 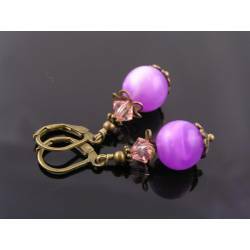 These earring showcase gorgeous vingage beads.